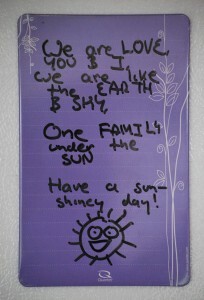 My fourteen year-old-daughter wrote this message – a twist on the lyrics to a song from the Lion King – for the rest of us to find. As a parent, you have to think to yourself, “wow, I guess I’ve done something right”, but that would be taking credit where none is due. My daughter is her own person after all – independent-minded, creative and brilliant – not an instrument of my carefully planned parenting methods. Actually, I have no carefully planned parenting methods. 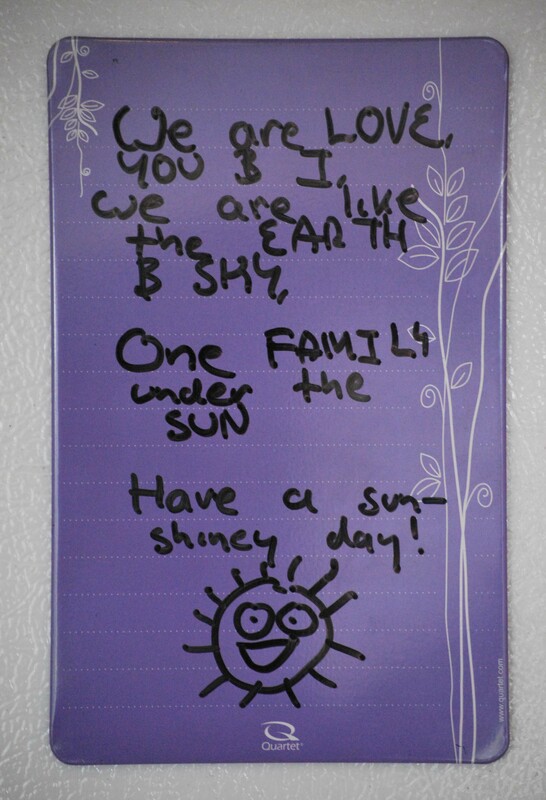 And that being the case, it would hardly be fair for me to hold this message fast in my own household, so I am sending it to you, via my blog: May you, too, find love floating in a sea of refrigerator magnets.